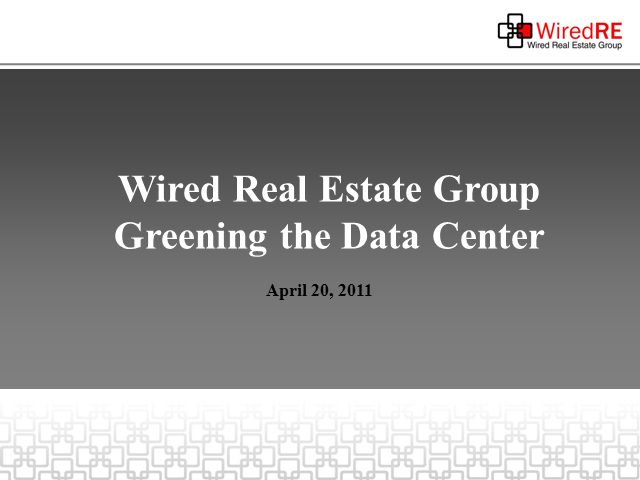 Balancing reliability against efficiency has challenged Green improvements within data centers. Our discussion will be focused upon immediate steps a data center operator can do to drive down the costs of running a highly resilient facility. Where are mechanical breakthroughs from design. Also, we will highlight insight from industry leaders for incorporating DC plant delivery of power to the server without AC conversions. How do we challenge 20th century accepted norms for temperature and humidity limits, and what does this relaxing of the specs do to increase free cooling opportunity. When planning new facilities, where are the sweet spots of our country for maximum environmental data center cooling and how do we get there. Our panel reflects leaders in efficient design, practice, and implementation.